That's me jamming with Brent and Liam Titcomb along with a bunch of others. It wasn't a "gig" per se, it was the conclusion of an amazing afternoon in the country where I took part in a native-style pipe ceremony where we asked the water for forgiveness. It's not something I had thought about much, but when you think about it, mankind owes an apology to the water when you consider what we've been doing to it and how essential it is to our daily lives. Brent conducted the ceremony (I've been to many pipe circles with him) but this is the first time we ever got to jam a bit and I was having so much fun that I asked him to join me at my gig at the Orangeville Blues & Jazz Festival this week-end. We'll be playing from 3-6pm on Sunday, June 5 at the Grand River Chophouse. which is in Grand View, just outside of Orangeville. 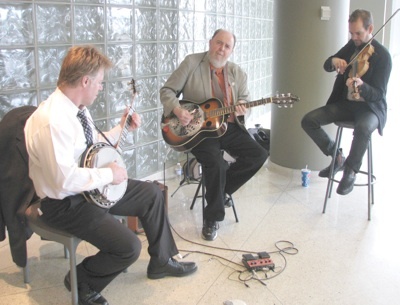 Earlier this month I played at Woodbine Racetrack on the occasion of the Kentucky Derby. I've played it before and they always make a big deal of the Kentucky Derby, even though we're a long way from Louisville. My agent John McHugh wanted my "Bluesgrass" boys so I called in a couple of the bright lights on the local scene, Chris Quinn on banjo and John Showman on fiddle. They both play in the Foggy Hogtown Boys and Showman is part of Creaking Tree String Quartet and a very popular new ensemble called New Country Rehab. 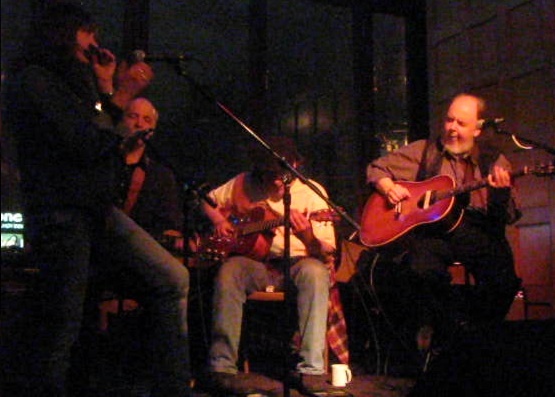 Bluesgrass is like Bluegrass slowed down with a backbeat. This photo is courtesy of Alana Boyd who was hanging out with the bluegrass group who were playing at the other end of the track. Woodbine runs about ten races then everyone gathers around the big screens to bet on the Derby. The place was packed, not a seat to be had in any of the restaurants - we were finally able to squeeze in to the Sushi Bar. I placed a bet and lost but my friend Jacquie bet on all ten races and won twice! She bought lunch. 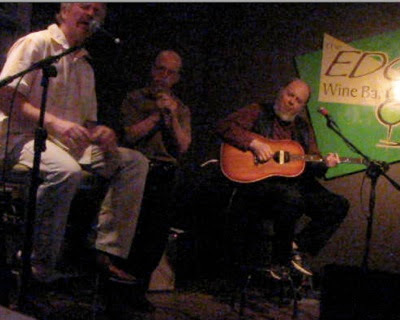 Earlier in the month I went up to do a duo gig in Orangeville with Larry Kurtz, who took some time away from planning the Orangeville Blues & Jazz Festival, and we were joined by an up-and-coming harp player called Nelson. I think he's a student of Larry's. I love playing with Larry. 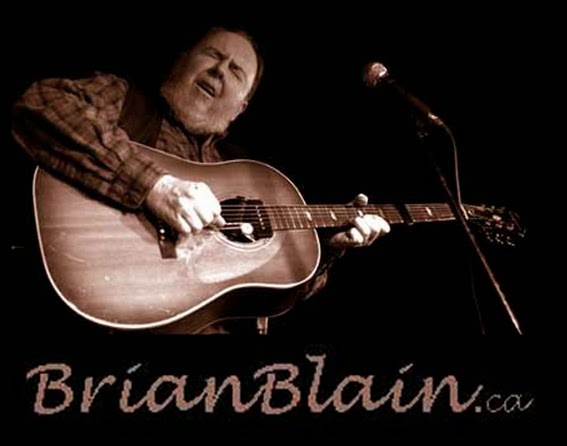 He never ceases to amaze - he organizes that great festival, runs a fine woodworking business, created a comic strip, paints portraits of blues greats...and is one of the nicest guys you're going to meet on the blues scene. Kudos to Kurtz. 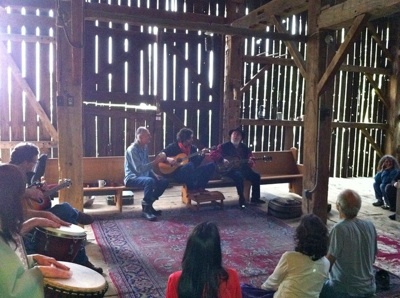 Played a small outdoor festival at Vankleek Hill and had a great time. 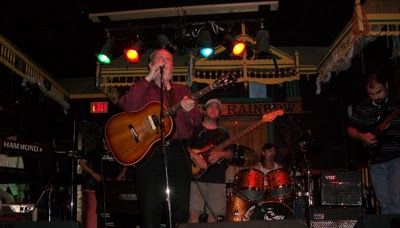 On the way home, and feeling a little haggard, I was dragged over to the Rainbow in Ottawa by my friend Susan - it's a "legendary" venue that I had never been to, but I was glad to see it and ended up jamming a couple of tunes. Why is it that when you finally get to visit a "legendary" venue, that it's alway smaller than you expected? Eye Magazine has been re-branded as "The Grid". I have not been an avid Eye reader of late but I just went through the inaugural issue of The Grid from cover to cover and though it has a little more "edge" I can't see how this is going to give the ubiquitous Now a run for their money. How could the cover of their premiere issue look like such an afterthought. Two people (I think it's two of their contributors bit it's never made clear) and a very old cliche headline - "I'll have what they're having". It refers to the lead story (and the theme of this issue) where do upscale chefs buy a cheap and fast meal (and a sidebar of their guilty pleasures...Double stacked Oreos, anyone?) They left out my most loved and most hated chefs in TO. Didier the most loved, and Massimo my most hated (noit because of his cooking but because he cancelled my gig - and many others - with little/no notice at his Sopra Lounge). The Grid makes it sound like it might be a little more focused on event listings, particularly music - my pet project) but it was a pathetic presentation - An Upcoming Concerts section that was pretty thin and included duplications and the featured show taking place on the same day they hit the street. The the club listings included only 20 (count 'em, TWENTY) listings for the upcoming week. Argh! I will hold on to this issue for a little while because it did list some interesting cheap eats that come highly recommended and I took special note of the new Burger Priest which is just down the road from me and which I look forward to trying. I shall keep an eye on further issues because if they stay with the foodie theme, maybe they will publish a comprehensive list of late-dining/snacking places. That's what I would like to see.